Start in New Delhi and end in Udaipur! 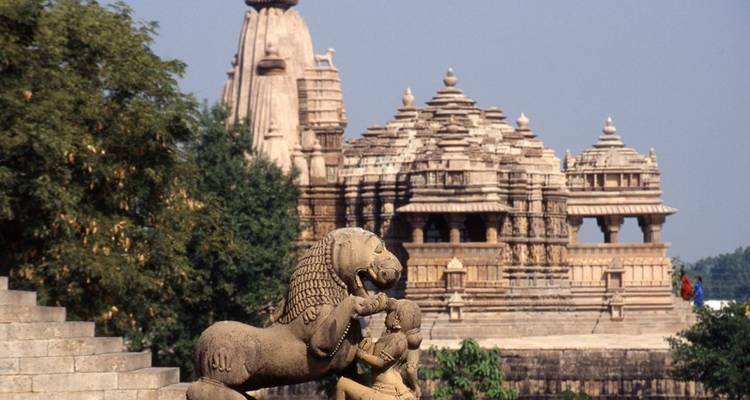 With the discovery tour North India Explored, you have a 21 day tour package taking you from New Delhi to Udaipur and through New Delhi, India and 14 other destinations in India. North India Explored includes accommodation in a hotel as well as an expert guide, meals, transport and more. Day 1: Start Delhi; afternoon free. Day 2: Delhi sightseeing; free evening. Day 3: Fly to Varanasi; free to explore. Day 4: Dawn boat ride on the Ganges; overnight train to Jhansi. Day 5: Arrive Jhansi and transfer to Orchha; explore the chhatris and temples. 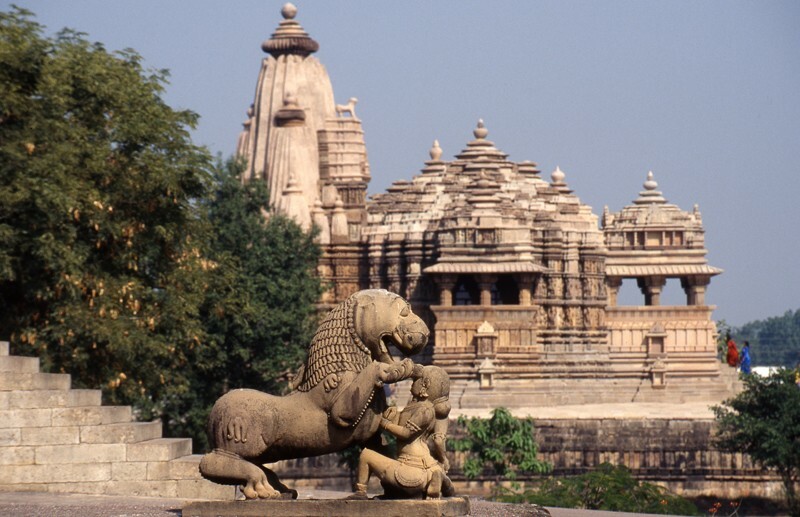 Day 6: Drive to Khajuraho; afternoon visit temple complex. Day 7: Free morning; transfer to Jhansi; express train to Agra. Day 8: Sunrise at the Taj Mahal; afternoon visit the Red Fort. Day 9: To Ranthambore N.P. via Fatehpur Sikri. Day 11: Drive to Jaipur. Day 12: Sightseeing including City Palace and the Amber Fort. Day 13: To Nawalgarh; free time to explore. Day 14: Sightseeing including villages and havelis. Day 15: Drive to Bikaner; free evening. Day 16: Visit Junagarh Fort and drive to Jaisalmer. Day 17: Explore city walls and fort; optional camel ride. Day 18: Travel to Jodhpur; visit Mehrangarh Fort. Day 19: To Udaipur via Ranakpur; visit Jain Temple. Day 20: City tour, including the City Palace and Jagdish temple. TourRadar only requires a deposit of $99 to confirm this Exodus Travels booking. The remaining balance is then payable 60 days prior to the departure date. For any tour departing before 19 June 2019 the full payment of $0 is necessary. No additional cancellation fees! You can cancel the tour up to 60 days prior to the departure date and you will not need to pay the full amount of $0 for North India Explored, but the deposit of $99 is non-refundable. Covering a total distance of approx 2,956 km.